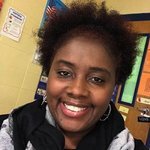 My name is Mrs. Tracie Hogue-Kynard and I am excited to be a part of the magnificent Kindergarten team at Francis Marion School. More importantly, I am DELIGHTED to be your child's Kindergarten teacher! It's going to be a great year full of learning and exploring. I can't wait to see what this year has in store for us!!!! This year marks my 13th year as an educator. I have had the pleasure of teaching Pre-K, 1st, and 5th grade previously, but I have to admit is Kindergarten by far the BEST. I am so excited about this school year and I look forward to an awesome year ahead!